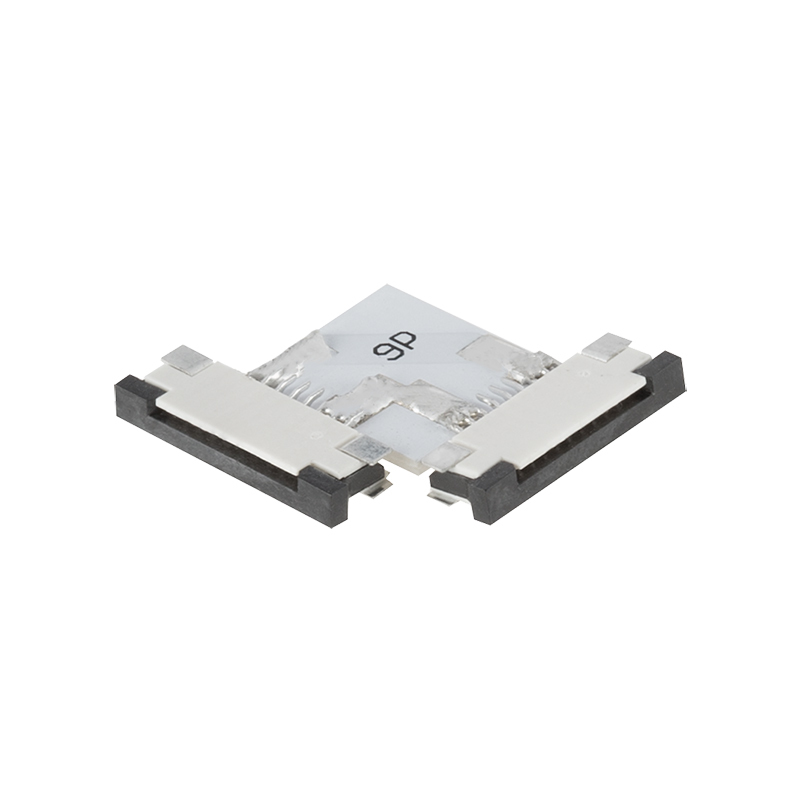 NFLS10-2CS90 solder-less two contact flexible light strip connector. 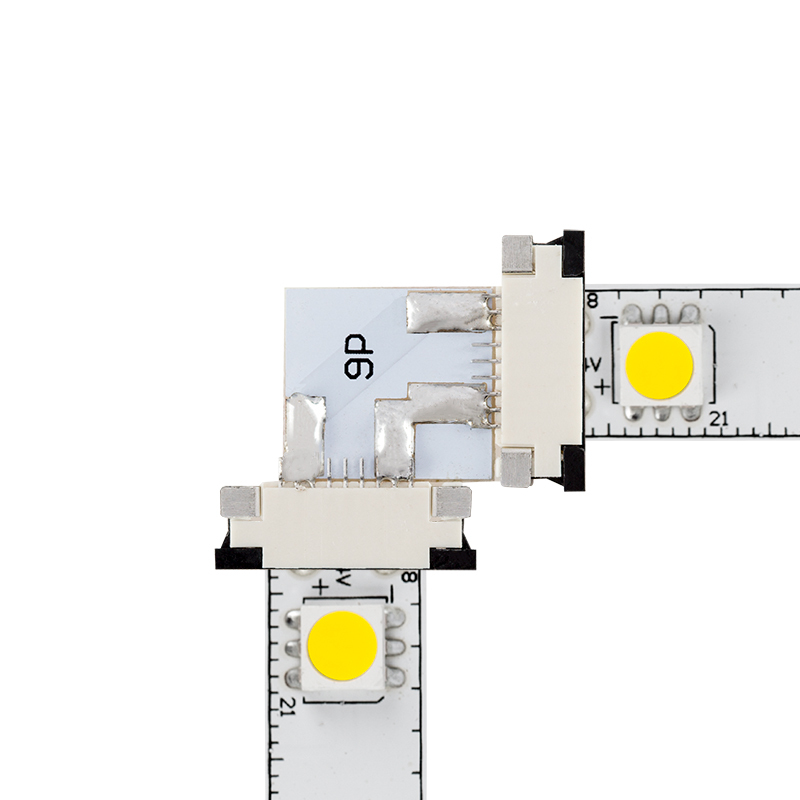 10mm wide, 90 degree, connects two single color NFLS-x300X3 flexible light strips and strip segments. The's right angle connectors are nice for maintaining a sharp 90 degree corner, but the push-in and clip system doesn't seem very solid. it's too easy to loose connection with these, so I chose to solder all my connections to have a 10+ year solution. I don't want to have to go back and mess with these in the future. This 90 degree connector is very handy.